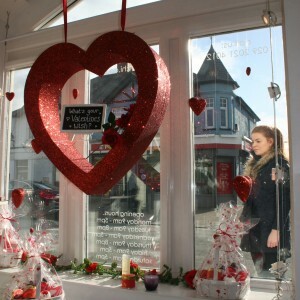 Valentine’s Day is just around the corner! 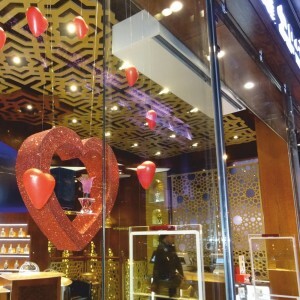 If you have not yet sorted your displays for your store or event, then we can help! At Graham Sweet Studios we design and manufacture a wide range of polystyrene props and decorations which are ideal for store window displays, large parties and other events! 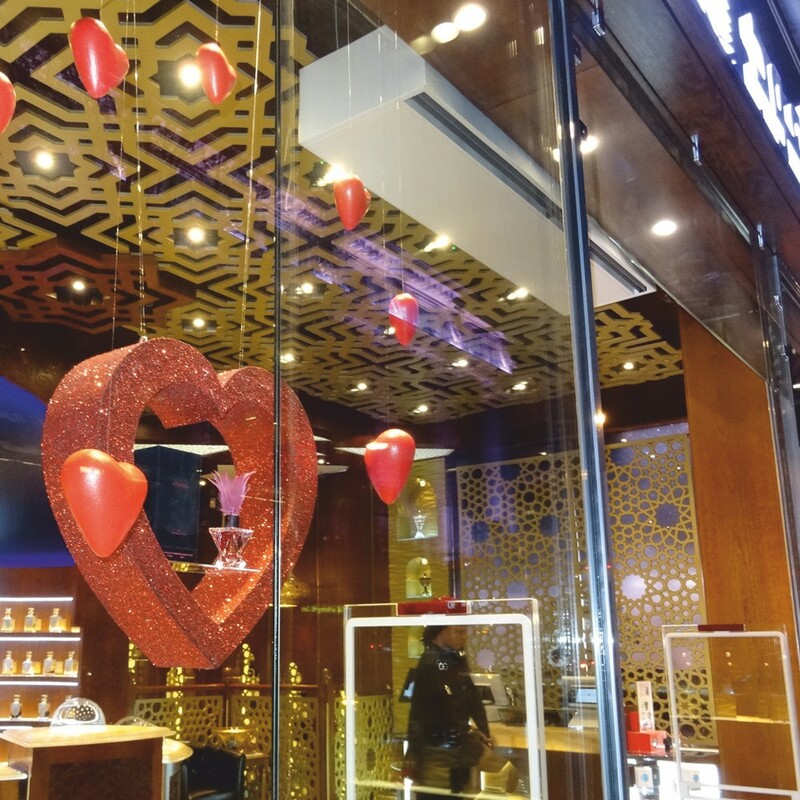 Our Heart VM Shelves are perfect to display most small items of merchandise including perfume, chocolates and other small gifts. Not only are the shelves great props to display goods, but they are also decorative items in their own right. The Heart VM Shelves are available in size from 380mm high up to 877mm high and they can be glittered in a colour to suit almost any theme or branding! 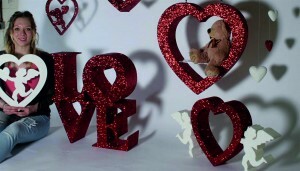 Large 3D polystyrene LOVE letters also make ideal props for all manner of displays! Available in size from 50mm high to over 2000mm high, our large letters are sure to make an impact! 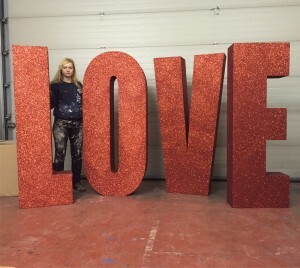 This entry was posted in New Products, News, Polystyrene Letters, Uncategorized, Valentine's Day and tagged Bespoke, Display, Events, freestanding, giant, glitter, Hearts, Logos, Photography, polystyrene, Polystyrene Letters, props, Shelves, Valentine's Day, Venue, VM. Bookmark the permalink. Follow any comments here with the RSS feed for this post. Both comments and trackbacks are currently closed.